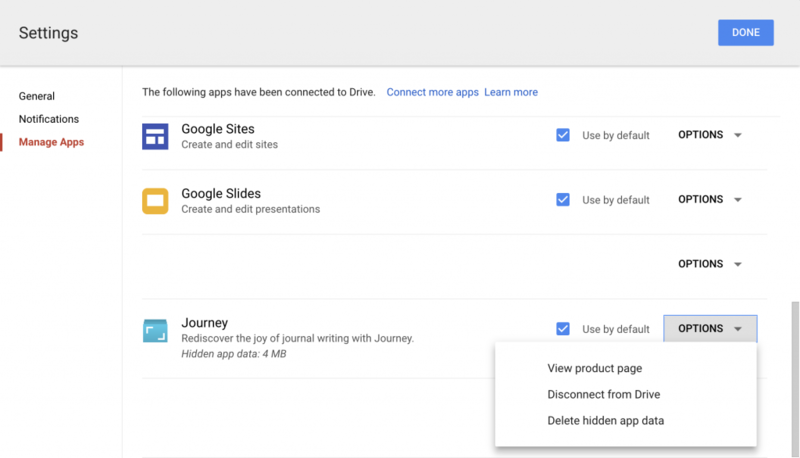 This action removes journal data completely from Google Drive and cannot be undone. To logout and remove account from computer, please refer to Logout Account. Please go to Google Drive Web Dashboard > click the Gear icon > Settings. Click Manage Apps > find Journey > click Options > Delete Hidden App Data.